Get your 2 for 1 tickets to Grand Designs Live London 2019, 4-12 May 2019 at London's Excel and come and meet the HomeOwners Alliance team. Claim your 2 for 1 tickets to Grand Designs Live 2019. With six home shows under one roof the show returns at London’s ExCeL from 4-12 May and from 9-13 October at Birmingham’s NEC. Get your tickets now. 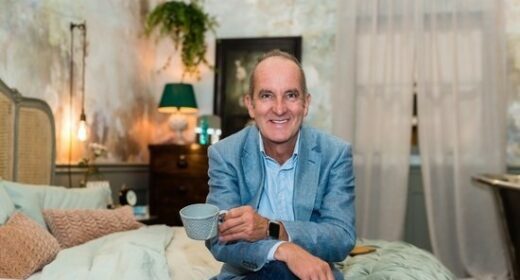 Based on the Channel 4 series and presented by Kevin McCloud, the show offers visitors top expert advice, new product launches and specialist exhibitors in six project zones. Whether you’re planning a self-build, renovation or are adding the finishing touches, find ideas and inspiration for your very own Grand Design at this multi-award winning event. Why not come down and meet the HomeOwners Alliance membership team in the Design & Build Forum to give you one-to-one advice on your project. Or come and see Paula Higgins live on stage, talking about what’s happening with the property market, the implications of Brexit and the best projects to add the most value to your home. Claim your 2 for 1 tickets to Grand Designs Live 2019 now. T&C’s: Offer is valid on standard tickets only and must be booked in advance before midnight on 11 May. Saving is based on the on-the-door ticket prices and a transaction fee applies per order.